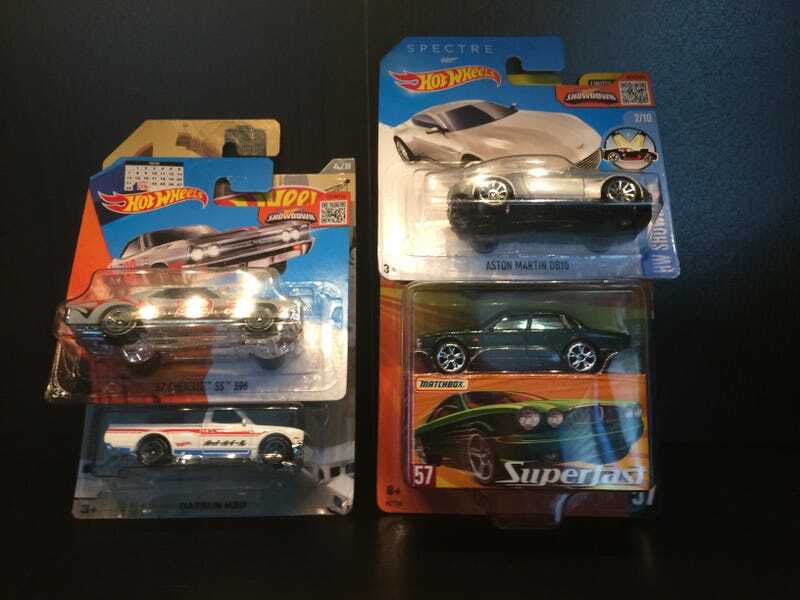 So I recently did a HWEP with Plasticprints, where, in exchange for a ‘73 CSL and $5 USD, I got a truck series Datsun 620, a short-card LY Chevelle, a DB10, and a New Superfast Jaguar XJ6. With this 620, I’ve finally completed my truck collection, after getting every one but the 620 a few months ago. I didn’t notice this LY was an error until after a few days of having it. All the paint is shifted back a bit. Also, just a few days after they arrived, I found a long card one at Walmart. I finally got the DB10. In my opinion it’s one of the more beautiful castings they’ve done in a while. This Superfast Jag is awesome. I love big old British sedans. It’s right-hand drive too.